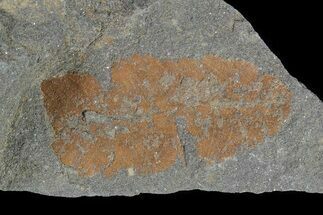 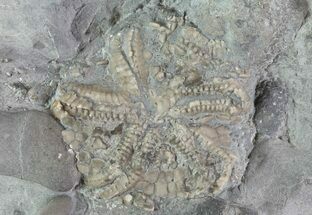 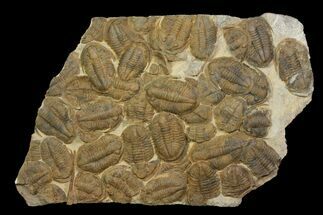 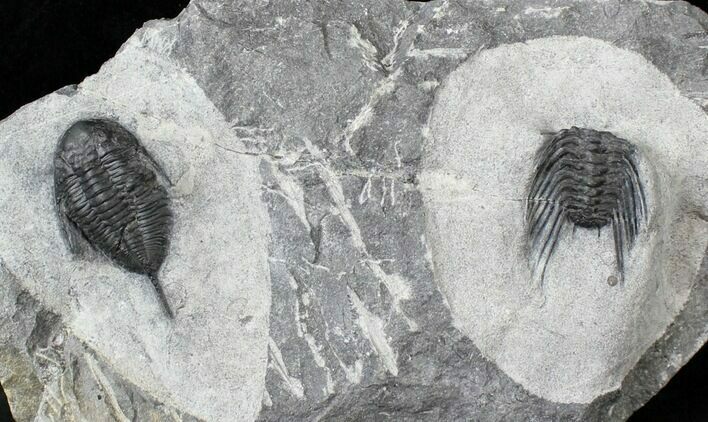 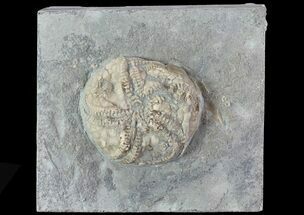 This is a natural association of two different types of Ordovician trilobites, Mucronaspis zagoraensis and a species of Selenopeltis. 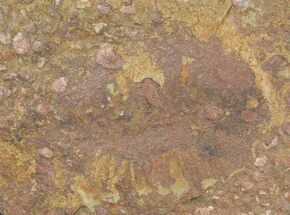 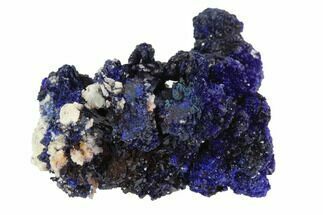 It was collected near Blekos, Morocco. 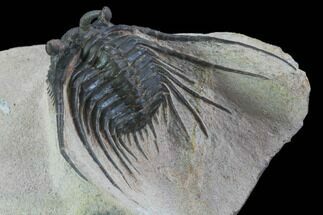 The Mucronaspis is about 2.2" long which is about average size and the Selenopeltis is 1.6" long with it's head tucked. 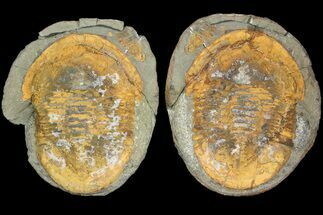 The only restoration on the Selenopeltis is along the crack running through it's tail unlike many specimens which are heavily restored. 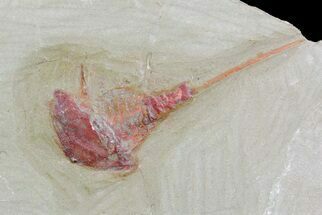 On the Mucronaspis, the right eye is restored as is part of the right genal spine.